Order One Of Our 427 Short Blocks For A Strong And Reliable Foundation. Just Pick Your Level Of Strength And We Supply Those High Quality Parts Along With Our World Famous Precision CNC Machine Work And Balancing. 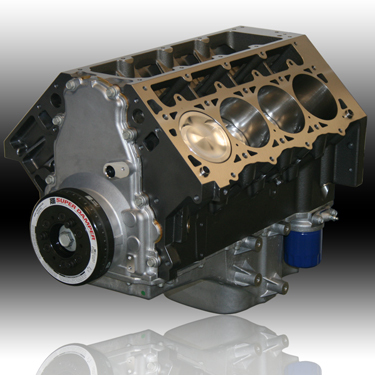 The Finishing Touch Is One Of Our Ultra Experienced Race Engine Assemblers Puts Your Short Together With Exact Blueprint Tolerances And The Extra Care Only A True Professional Can Deliver.